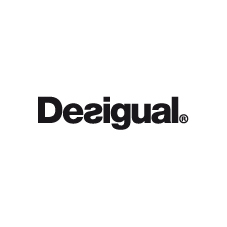 Desigual is characterized by its distinctive, optimistic, and colorful designs. The company was founded in 1984. Desigual's slogan, La Vida es Chula, reflects the way it views fashion and life. This phrase explains Desigual's raison d'etre and is enshrined in the brand's DNA and the values it reflects. It's a manifesto that describes how to face the world each day and is reflected in a fun, fresh and original way of dressing in clothing made with a passion.